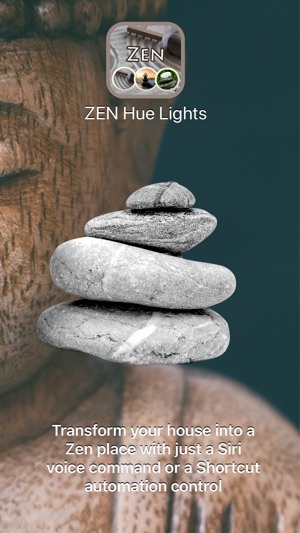 Just say this and let the relaxing sounds and lights flow into your home. 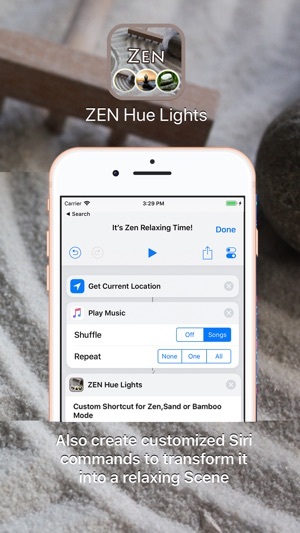 With ZEN Hue Lights you can control your lights by recording custom Siri Shortcuts to transform your house into a relaxing place, using only your voice! You can even use Shortcuts app to automate multiple tasks combined with the in-app sounds and lights. 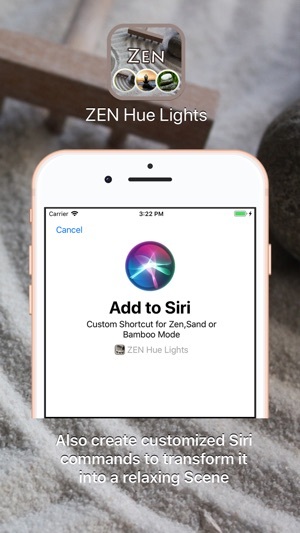 After launching the app and setting up your Philips Hue Bridge and Lights, go to settings app on your iPhone, Siri & Search, add the shortcut "Custom Shortcut for Zen, Sand or Bamboo Mode" and record your personalized command. After this, every time you say this command to Siri, the app will launch and execute the proper sound and light effects! Note that the last used mode will be the one executed (marked with a green tick). You can also use Shortcuts app to automate multiple tasks. Just add the "Custom Shortcut for Zen, Sand or Bamboo Mode" action with another tasks, like do something based on your current location, etc to your shortcut flow and let the magic begin! 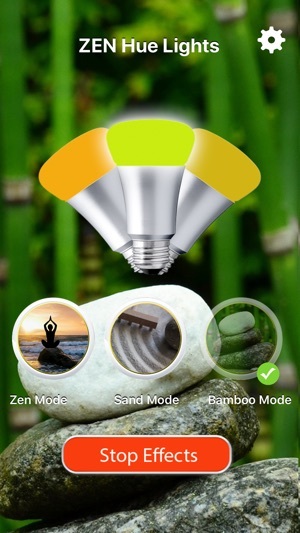 Download ZEN Hue Lights now! A(z) iOS 12.0 vagy újabb verziója szükséges. Kompatibilis készülékek: iPhone, iPad és iPod touch.